Shooting woes plagued the Cougars all night, not just at the charity stripe but in the field. While hitting a chilling 10 of 26 free throw attempts (.385), the Cougars could not find a groove at any spot on the home floor as they connected on 16 of 50 field goals (.320) and 5 of 19 3-pointers (.263). The Cougars battled in the second half, cutting the lead to nine on several early possessions. Lewis Cass graduate Jacob Faust’s bucket at the 6:46 mark cut the lead to seven. Baskets by Nathaniel Carroll and Spencer Krhin kept the Cougars in the game, but they simply dug themselves in a hole too to early and couldn’t overcome poor free throw shooting (8 of 18 in the second half). While the Cougars could not buy a freebie, the visiting Eagles connected on 16 of 17 attempts. The Cougars continue to battle health issues as Carroll, Jacob Faust and Joby Renbarger have all been affected by illness over the holiday break. For the second consecutive game, Krhin paced the Cougars with 15 points off the bench. Jared Lawrence added eight points and five rebounds and Carroll had seven points and five rebounds for the Cougars. Bob McCarthy led the Judson Eagles (3-11) with 15 points and five assists while Frankie Cleope added 14 points. 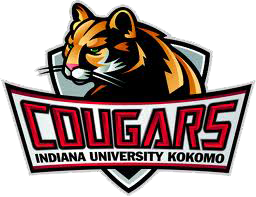 The Cougars (5-10) return to action on January 5, when they host NCAA Division II Salem International University (7-7) from Salem, W.V. Game time is set for 3 p.m. at the Kokomo High School Gym.